City Center is a one of a kind location. A true city within a city, it consists of a 76-acre property containing everything one could need. It is home to Aria, a 4000-room mega casino resort with a theatre, restaurants, and of course a glamorous three-story lobby and casino. The grounds are also home to the Shops at Crystal’s, a high-end shopping center with shops like Louis Vuitton, Jimmy Choo, and Prada. It also houses award-winning seafood restaurant Mastro’s Ocean Club and others. There are three other upscale high-rise condo properties located within City Center as well. A unique twist on the Vegas casino resort tradition, Vdara is a boutique style, all-suite, non-gaming hotel. The glamour and glitz of Las Vegas meets unparalleled sophistication at this spot. One of the many breathtaking resorts that you would expect from MGM Resort properties, Vdara Resort & Spa also offers gorgeous condominium units for full-time residence. 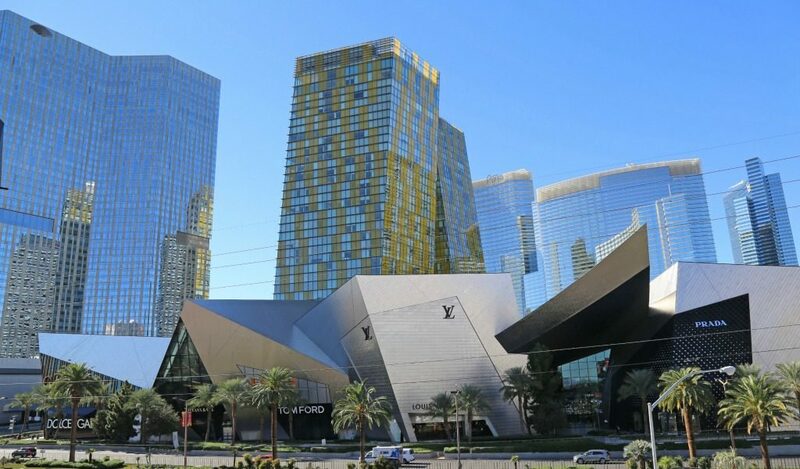 Located in City Center in the heart of the Strip, Veer Towers is a striking picture against the skyline with its massive leaning beauty. The design was a joint effort of Murphy/Jahn Architects and includes a five degree lean in either direction of each tower. It’s an engineering masterpiece that can be appreciated by anyone, especially with the night lights on it.